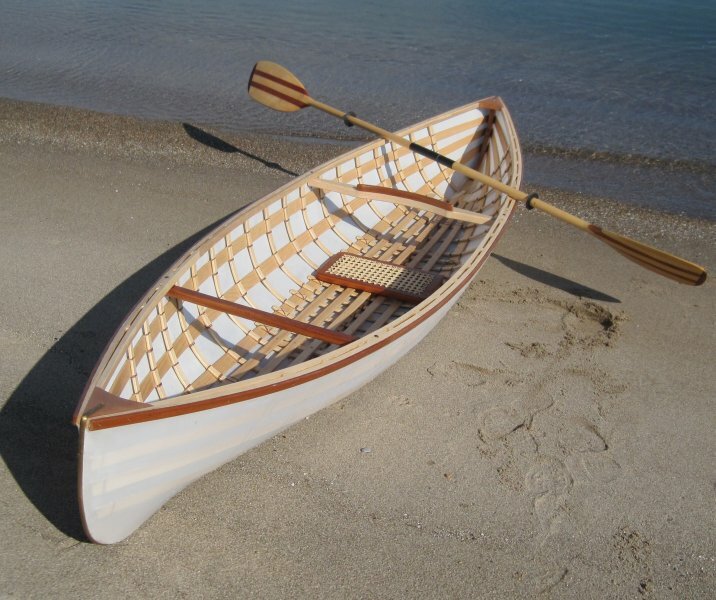 Describing himself as a subscriber from day one, Bob Haig of Sarnia, Ontario, just built a Solo Carry Canoe. 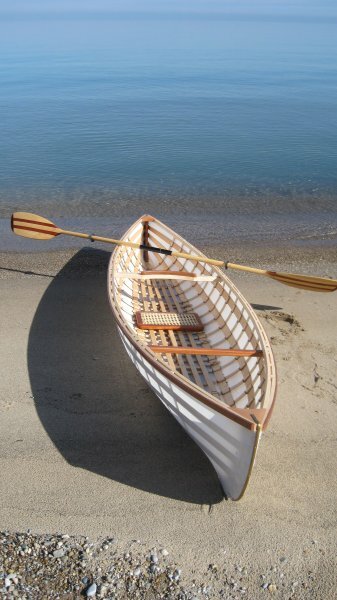 Hilary Russell of the Berkshire Boat Building School in Sheffield, Massachusetts designed the Solo Carry. He relied on the article in WoodenBoat Nos. 205 and 206, he spent several weeks on the construction and launched her last September. 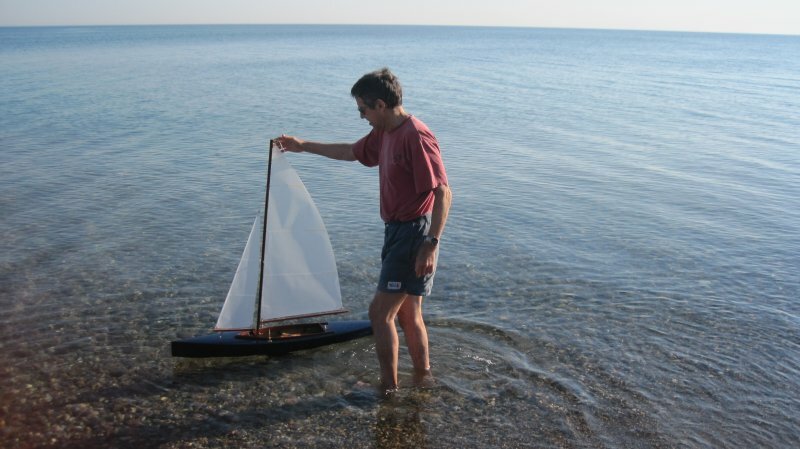 Bob has built several boats from WoodenBoat magazine including a model of an International 110 from issues 216 and 217. (See Bob with the model at left.) Bob paddles the canoe at the south end of Lake Huron near his home in Sarnia.